Russia’s grocery market leader X5 Retail Group will claim its place among the long-standing top 10 European grocers by 2022. There is a new rising star on Europe’s retail horizon. Political and economic turmoil have left the Russian retail market on the periphery of perception, including market leader X5 Retail Group. Unjustified, as it now becomes evident. 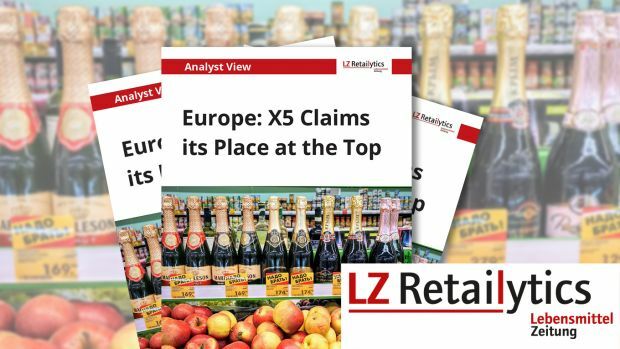 Whereas in 2014 the company ranked only 22 in LZ Retailytics’ European retail ranking, by 2022 it is expected to become the eighth-largest grocer on the European continent. Forecasted to reach the self-declared upper limit of 20,000 outlets in the country by 2023, the subsequent step across borders seems obvious. If only into the CIS region and, possibly, China or further West will depend on Russia’s relations with the European Union at that time.